The sedan and coupe seat rails are almost identical, but the inner rail (side of the seat belt latch) hole comes up short to the sedan one. 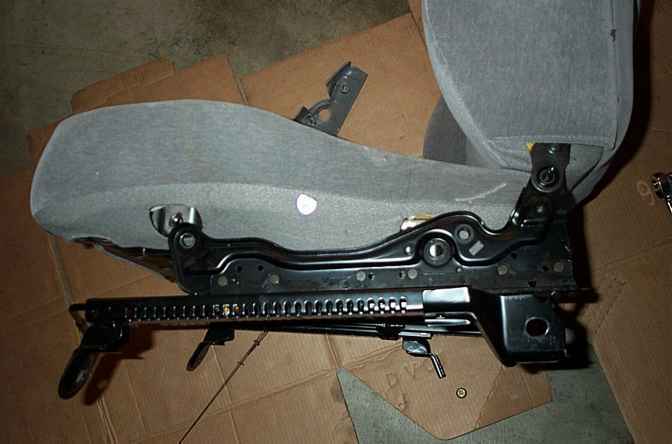 So in order to fit the coupe seats in your sedan, you'll need to swap the inner rail for the driver side, and both rails for the passenger side. The reason the passenger side needs to have both swapped out is due to the quick access option of the seat. Tools/Items needed: Ratchet, sockets 12mm, 14mm, phillips head screwdriver, torque wrench (optional). *NOTE: IF YOU HAVE A POST 99 MODEL WITH SIDE AIRBAGS, DISCONNECT YOUR BATTERY AND LET IT SIT FOR ABOUT 5 MINUTES BEFORE YOU BEGIN!! If you don't, you might have the srs light go off that can only be resetted by the dealer. Step1: Obviously step one is the remove the seat that needs to be swapped. The seat is held down by 14mm bolts on all 4 corners. For the driver side, you'll need to tilt the chair back after you unbolt it and disconnect the seatbelt sensor harness. 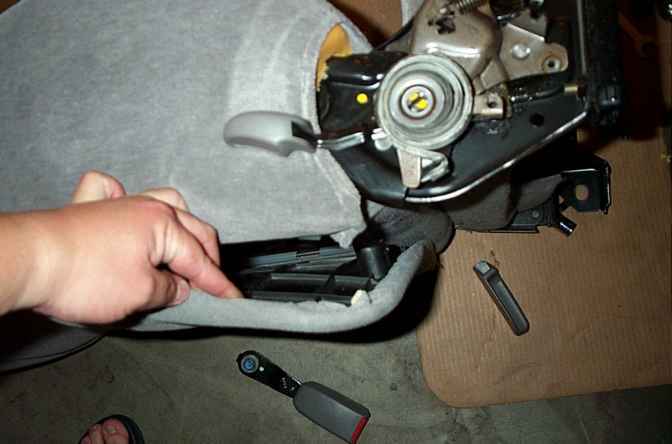 Step2: Remove the plastic cover that's over the seat belt latch being held by 2 phillip head screws. Step3: Remove the (2) 14mm bolts, and the (1) 12mm bolt. 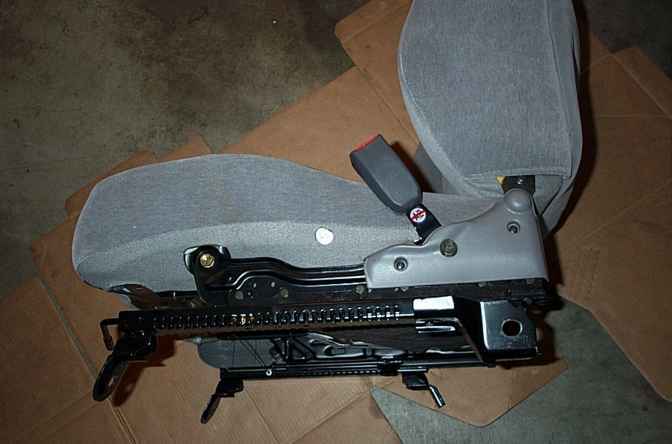 I removed the latch bolt as well since i trust mine over the seat i'm going to be using (carry over). Step4: After you remove the rail, you'll need to unhook the connecting link wire. 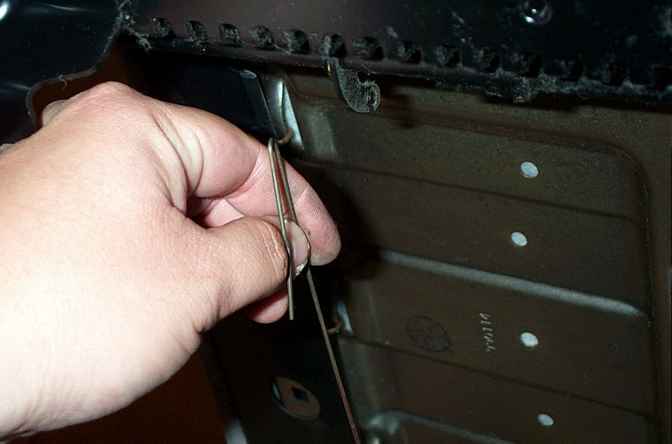 Squeeze the wires, slide the securing washer off and unhook the wire off the rail. *NOTE: this pretty much completes the driver side. Just reverse the installation procedures and install the seat. 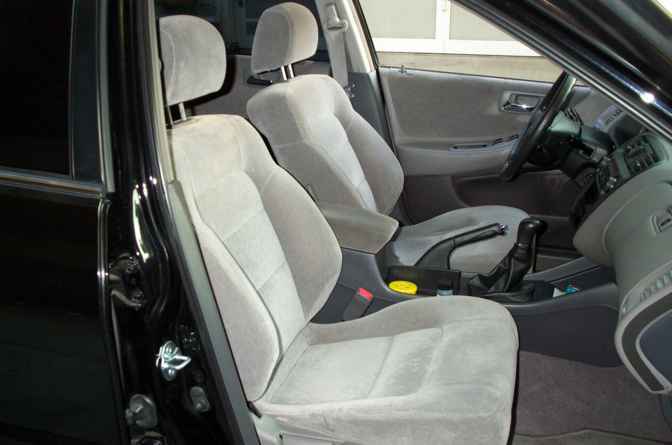 The passenger side uses rear passenger 'Quick access' chairs. You'll need to swap both sides of the rails with your original. 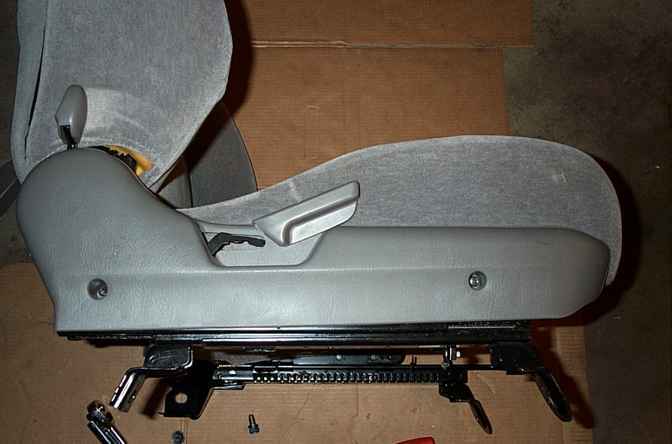 Step5: Passenger seat: remove the (2) phillip head screws holding the plastic cover. Remove the cover. Step6: There are two 14mm bolts that you see, and the other two you can't see. Loosen the two bolts you see, but don't remove quite yet. Step7: Tug on the rear hard plastic panel (the panel the storage pocket is located at). 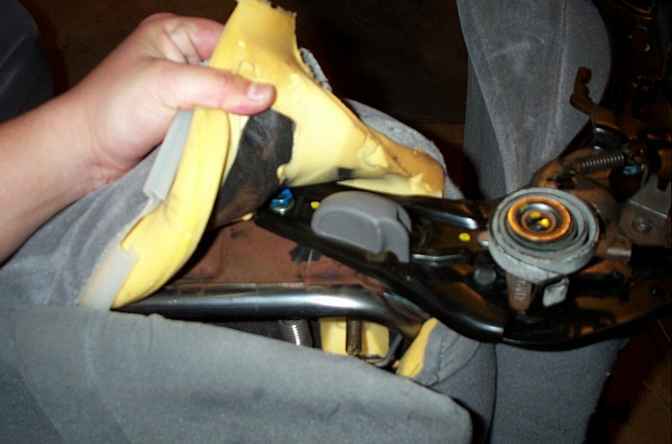 Once it's popped off, you'll need to unhook the plastic pieces holding the seat cover in place. Step8: Pull the fabric and the cushion back to reveal the (2) bolts of the rail. Unbolt the 2 and remove the rail. 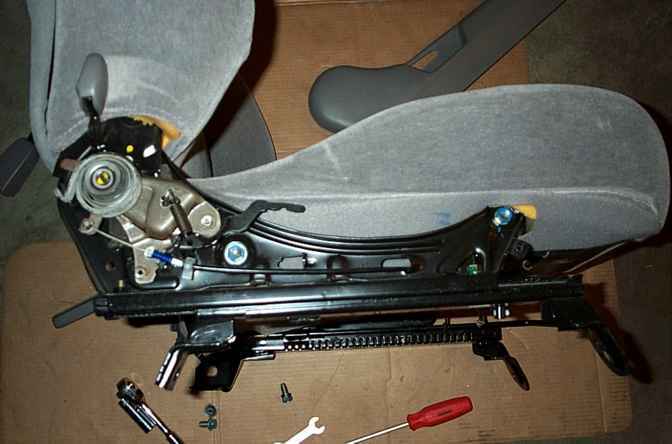 Step9: Reverse process with your rails and bolt the seats back into your Accord.